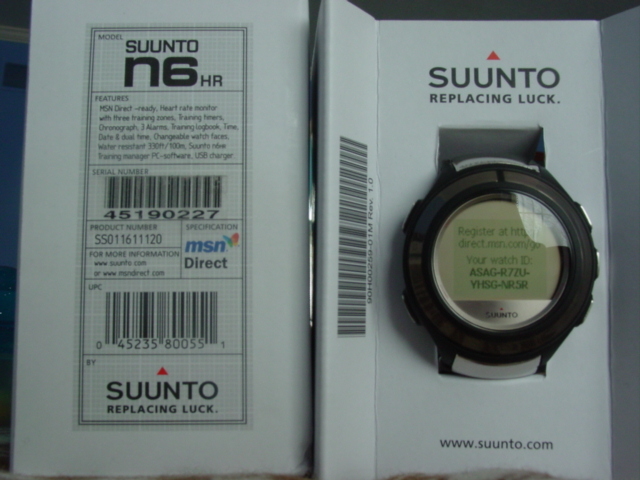 What stood out the most when I first took the n6HR out of its Suunto box was its metal strap. Having been familiar with the older N3i and its hard-rubber styled band, the metal strap was a surprise. It does enhance the look of the watch a lot more, and draws attention away from the massive bulk that is its watch body, which unfortunately has not been redesigned; the watch case is as large as the one on the N3i, and it still feels and looks awkward because of its size. This is still a major roadblock for SPOT watches, and one that, if conquered, could largely raise the popular appeal of these units. The other obvious development since the N3i is the inclusion of a heart rate monitor. It works like any other heart rate monitor; there is a black strap that you clasp to your chest, and the watch tracks your cardiovascular activity throughout your workout. 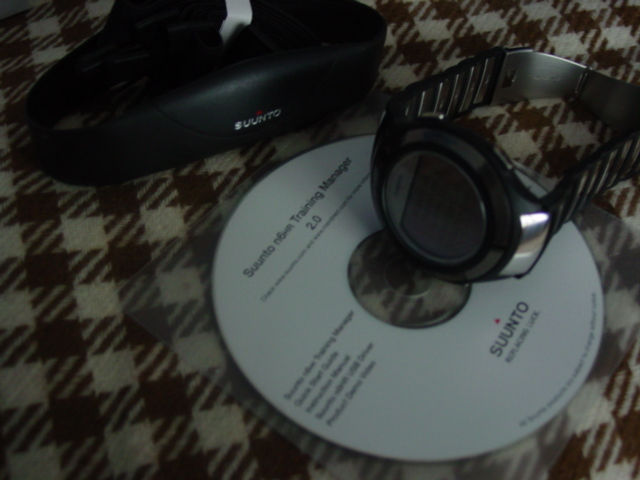 This can be graphed and viewed later through Suunto's personal trainer software. More on this later. The FX2008, on the other hand, is much more different from Fossil's last tech watch, the FX3005, than the n6HR is from the N3i. 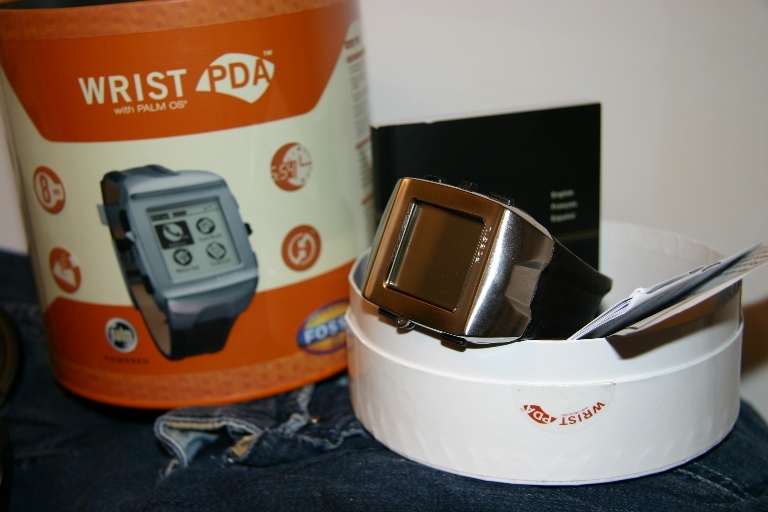 First of all, it is not technically a SPOT watch at all, since it does not run on MSN Direct but rather Palm OS 4.1. The watch casing is slightly larger than the FX3005, and it is noticeably chunky and awkward on those who do not have big beefy wrists - in other words, people like me. It came packaged in the same type of cylindrical tin that the FX3005 came in, and again, Fossil's efforts at packaging again surpass Suunto's. As would be expected, the interface of the FX2008 is completely different than that of the FX3005. 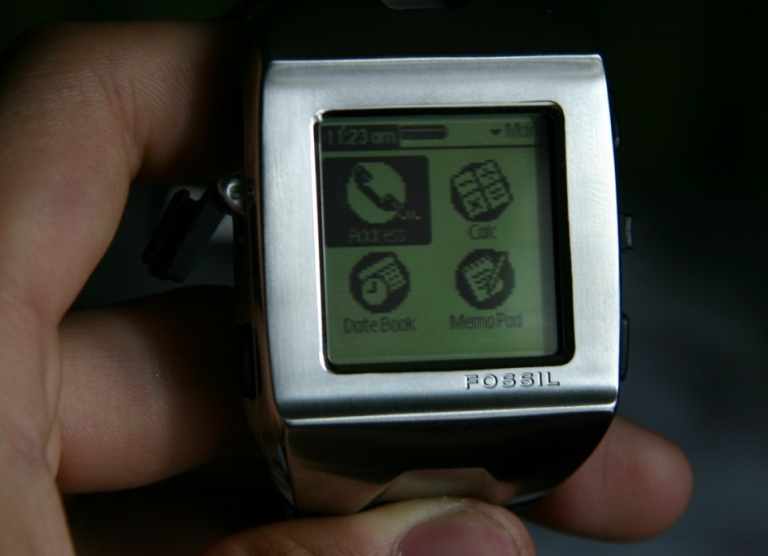 Instead of the familiar back and forth scroll menus characteristic to SPOT watches, the FX2008 Wrist PDA features (surprise) a Palm OS interface. In fact, it looks pretty much exactly like your old Palm pilot or Visor handheld, except of course, that it only fits four icons on a single screen - the rest are accessable by scrolling - and that you can wear it on your wrist. Overall, I drew two initial conclusions based on what I observed in the first ten minutes of playing with the watches; first, that both watches pack many more features than their previous models, and second, that both watches still are - for my tastes - a little too bulky for casual wearing.